The Nissan X-Trail 2.2 diesel has had a bit of a power hike. Only a bit, from 115PS to 136PS, but it makes a difference. 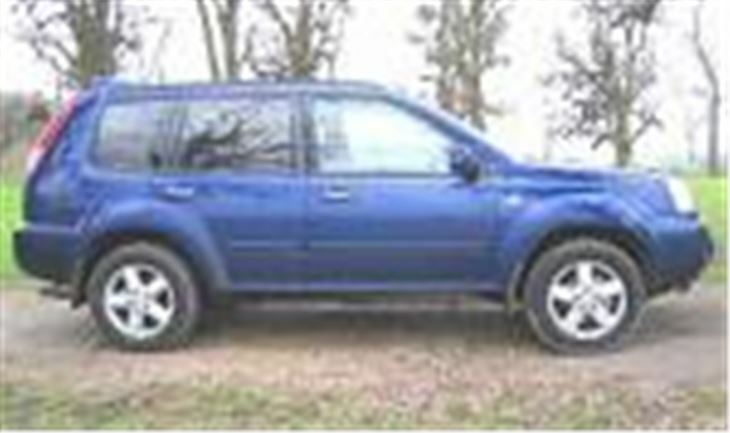 I originally road tested the X-Trail 2.2DI 6-speed Sport two years ago. And I loved for its honesty. A bit later on I got to drive it through a forest in Yorkshire. Chris Moyles was on the radio interviewing Holly Valance for the first time (yes, really, it was that long ago). Just me, the X-Trail, and Holly charming the pants off Chris Moyles. (She’s much better at interviews than she is at singing.) I didn’t even know who she was or what she looked like, but she sounded like a dream girl. I took the X-Trail through some glop holes of stinking black sludge and down some precipitous descents but most of all enjoyed it drifting slightly sideways at about 60mph on the gravel forest roads. With Holly Valance gabbling delightfully out of the radio speakers there are some guys who might have regarded that afternoon as close to heaven on earth. 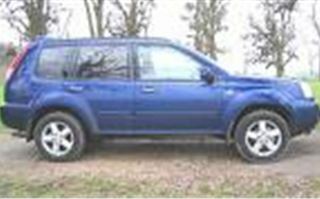 The thing about the original X-Trail was that though it only had 115PS, the gear ratios were exactly right so you could make the most of every ounce of grunt it could offer. Now we’re two years down the line, what could Nissan have done to improve it? Not much, actually. They’ve dumped the somewhat garish dashboard of the original and replaced it with something easier on the eye. They’ve changed the front grille ever so slightly. They’ve changed the name to dCi. And they’ve upped the power to 136PS. That’s the main thing you notice because, if the speedo isn’t telling porkies, you now have quite a quick car on your hands, that just happens to look like an SUV. Sure it loads up on the suspension. It cannot defy gravity. 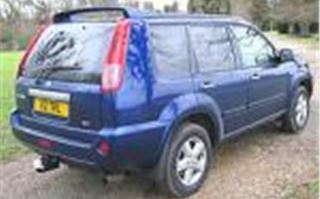 And, no, it definitely doesn’t road-handle anything like as well as a Toyota RAV-4. But drive it over those metre-square road humps that destroy the composure of most saloon cars and its chunky 215/65 it don’t even notice them. Clog on and you cruise at 30mph per 1,000 rpm, which means 60 at 2,000rph, or 90 at 3,000rpm, on the clock. Standard diesel car type gearing. However, if you live in a congested neigbourhood and have ajob that starts early in the morning you’d better move house. Start the engine and a bloke under the bonnet gets going with his pneumatic drill, so you’re under no illusions about what sort of fuel it uses. But snick it into gear and the pleasure starts. This six-speed box feels both beefy and precise, a bit like an older Ferrari, and the ratios are exactly right to make the most of its newfound 136PS and 314Nm torque pulling a fairly hefty 1,520 kg vehicle. Climb aboard the Sport and you immediately appreciate its large, comfortable, height-adjustable seats with their practical looking dimpled nylon trim. 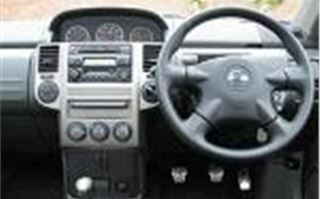 The steering wheel is adjustable, too, and all the main controls are chunky, logical and easy to use. Putting the dials in the middle leaves space for a handy cubby in front of the driver. The front cup-holders open out over phone size hollows in the dash. The electric sunroof is gigantic, giving the back seat passengers a tan as well as those in the front. For £19,795 (£800 more than before), the Sport diesel spec comes with six-speed gearbox, switchable automatic four wheel drive, lockable centre clutch, aircon, huge electric sunroof, reclining rear seats, five three-point belts, cassette/CD/radio, alloy wheels and 215/65 x 16 tyres. There’s bags of space for five people to cover continents in comfort and enough room in the back for their luggage even with the rear seats reclined. 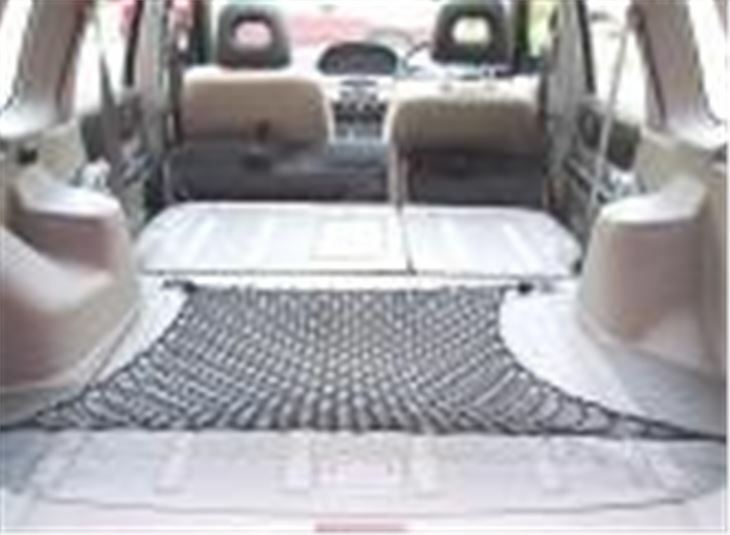 Another big advantage is a totally flat floor with the rear seats folded, ideal for dogs or for carrying cargo or tools. And no silly spare wheel slung on the back door. 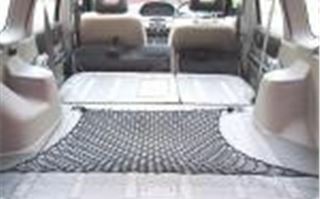 A full size one is hidden under the rear deck floor. The dCi isn’t available with Nissan’s unusual torque converter CVT automatic transmission. The petrol models don’t get the diesel’s excellent six-speed box. 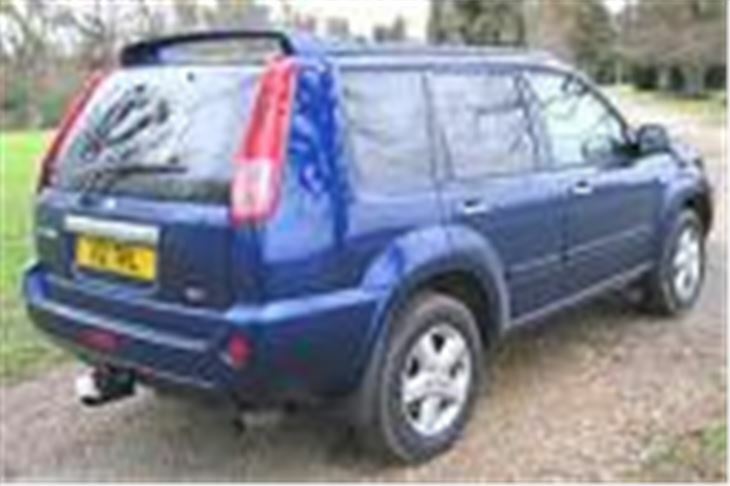 Since I got at least 35 and maybe even 40 mpg over a week’s varied use of the diesel, it would have to be that one. I’d go for the better value Sport rather than the SVE or T-Spec. 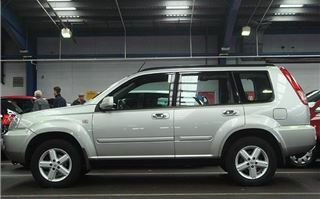 And I still prefer the X-Trail to the all singing, all dancing BMW X5 Sport diesel, which costs more than twice as much.